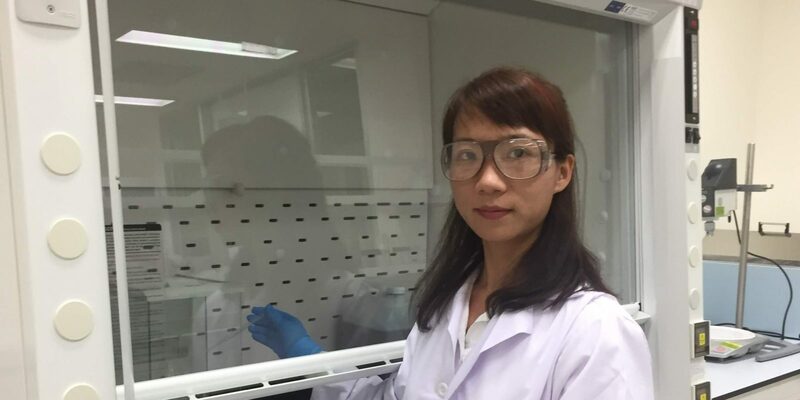 Guest Bio: Dr. LI Yan, PhD from Department of Pharmacy, National University of Singapore currently works as a scientist in Research & Development for Digestive Wellness at Procter and Gamble, in Singapore. There are many facets to Li Yan’s work in the gastrointestinal health arena. She spends a lot of time talking with patients so that she can ensure their needs are fully understood – for example, what gastrointestinal issues and challenges they face in daily life. Additionally, she also liaises with gastroenterologists and doctors to understand the latest treatments available, and to discuss their patients’ responses. Henry Acosta: Hi I’m Henry Acosta and this is Health Professional Radio. Today we have Dr. Li Yan from Singapore. She has a PhD from the Department of Pharmacy in the National University of Singapore. She is currently a scientist in the Research and Development Department of Procter & Gamble, the company goes by P&G as a brand name. She’s currently researching and finding out ways on how we can help treat IBS or Irritable Bowel Syndrome. Today we’re going to talk about IBS and Meta Align, a clinically tested probiotic supplement to help relieve symptoms of those medically diagnosed with IBS. Hi Dr. Li Yan welcome to the show, we’re glad to have you here with us today. Dr. Li Yan: Hi, good afternoon. Thank you for having me. H: To get started, I just want to ask can you tell us a little bit more about yourself? Y: Yes. 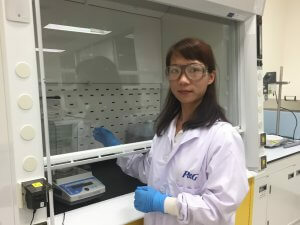 I get my PhD from the Department of Pharmacy in the National University of the Singapore and currently I’m working as a scientist in Procter & Gamble. On a daily basis I talk to patients, understand their needs and the challenges that they face. On the other hand, I’ve also worked with doctors and gastroenterologists just to understand the latest treatments and the response from their patients. But at least, as a scientist and pharmacist by training, I do research on the … developments in pharmacy as well as in medicine to ensure share the products that we offer will provide instant relief to the digestive symptoms. So that is what I do. H: Can you explain to us a little bit more on how you ended up in this line of work? And where do you do it? Y: Okay. Basically, we have an IRB group in Singapore. I’m in charge of the scientific support for all the digestive wellness brand. That’s what we do in the area and where we do it. H: Can you tell us a little bit more about the irritable bowel syndrome or IBS? And how it affects everyone’s lives? Y: Yes. Irritable Bowel Syndrome is one of the common gastrointestinal disorder and it actually affects 10-20% of the people worldwide particularly in Australia, 1 in 5 Aussies might experience the unpleasant symptoms of IBS at some times. The symptoms including we can refer as of A, B, C, D of IBS. A for abdominal pain or discomfort, B for bloating, C for constipation, and D for diarrhea. H: Can you tell us about the Meta Align or how it is relevant with regards to IBS? Y: Yes. Probiotics has been researched as a treatment option for IBS. We are proud of bringing a new profile to intro Australia which we called ‘Meta Align’, its fundamental of Metamucil. It contains a patents of strength, a scientist which has been clinically proven for IBS relief in 4 weeks. The relief of the symptoms including abdominal pain, gas, and bloating. H: I see. What goes on when you go with research? Or how do you get the results of your research or your experiments with regards to Meta Align? And how did you come about with the product? Y: We’ve done … study on the probiotic strain that cause Bifidobacterium longum. A scientist through … that is a long name but that’s the scientific name show we found … study to show that scientists has shown the significant improvement in symptoms associated with IBS such as abdominal pain, gas, and bloating. And we also had a very excellent … profile and had been shown to be a very well … when consumed. It has been shown efficacy as well as safety profile. H: Let’s say if I have IBS and I take Meta Align, how fast will it act on my bowels? Y: The efficacy really depends on different individuals because different individual has different digestive systems and symptoms. In the clinical study, we’ve seen significant relief within 4 weeks. H: Wow, 4 weeks. That’s pretty fast. Why do you think people get IBS? Y: Well the cause of IBS is unknown. But environmental factors such as change of routine, diet, or stress, or antibiotic usage might trigger an attack. H: Can you tell us a little bit more about probiotics for those who don’t know about it? Y: Probiotics are live microorganisms. When taking in adequate amounts, some profile or benefit to the individuals. Our body needs microorganisms for many body functions including healthy digestions. Probiotic is one of the treatment options for IBS along with the FODMAP diet. There are lots of clinical research that has been undertaken to understand the impact of … probiotic strains also to medical conditions. We’ve got number of misconceptions about probiotic. For example, all the probiotic are the same while the fact is that different probiotics work for different medical conditions. The second misconception about probiotics is that more is always better while the fact is that, different probiotics might demonstrate efficacy at different optimal concentrations. It’s really important to look into the clinical study on that specific strain for the scientific benefits that it provides. H: Can you tell us a little bit more about Meta Align and how you take it? And give you give us more specifics on the product? Y: Sure. Meta Align is a probiotic for IBS relief. It’s in the capsule form. Patient just need to take one capsule in a day. And what’s the beauty about this product is that, it’s actually is fridge free. You don’t need to put in the fridge and that travel friendly as well as convenience for the patients to take it. Meta Align has been in a clinical study to show that at 1 Billion dosage means that we’ve test that different dosage, for example 1 Billion, 10 Billion, and 100 Billion so not the more the better. One billion actually works the best. That’s why that is the number goes into the product Meta Align and it works to provide relief of symptoms such as gas, bloating, and abdominal pain. It’s in the capsule form, one capsule in a day. H: For anyone who’s interested in getting the Meta Align or the product, how can they get it? Y: We’ve launched the Meta Align last October. It’s available in all the pharmacies nationwide. I will encourage patients to talk to the pharmacists to understand the symptoms and get the right probiotics for them. H: Awesome. For our last question, what is it that you want our audience to take away from this interview? Y: Meta Align is clinically proven for IBS relief in 4 weeks. And the symptoms include abdominal pain, gas, and bloating. So that’s key to take away. H: Awesome. Well, that’s all our questions for today doctor. It was a pleasure having you with us. And that was Dr. Li Yan, scientist and pharmacist of Procter & Gamble. We just finished talking about the irritable bowel syndrome or IBS and their product Meta Align. You can find more health-related interviews at www.healthprofessionalradio.com.au or on hpr.fm. You can also find us on SoundCloud and iTunes. I’m Henry Acosta and you are listening to Health Professional Radio.